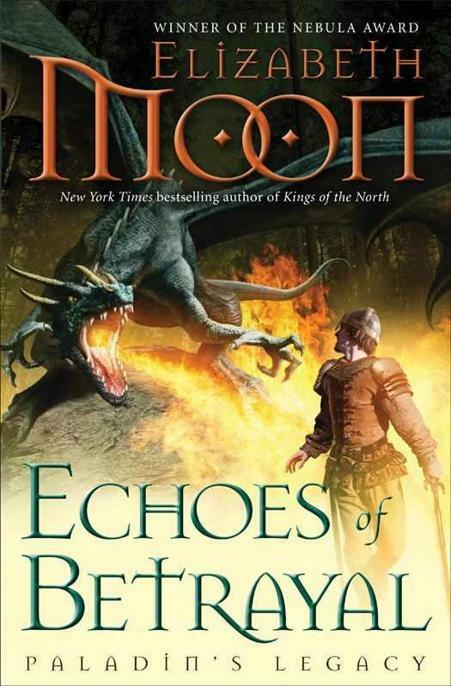 Echoes of betrayal : Paladin’s legacy / Elizabeth Moon. rvid Semminson, lying naked, bound, and bruised on the cold ground somewhere in northwestern Aarenis, reflected that honor among thieves was a myth. Valdaire’s Guildmaster had taken everything he had: clothes, weapons, gold, his Guildmaster symbol, and that very damning—in the Guildmaster’s eyes—letter of safe passage from the Marshal-General. In return, the Guildmaster had indeed found a room for Arvid, as he’d offered: Arvid had spent several very unpleasant days in the Guildhouse cellar before his kteknik gnome companion Dattur, worried by his absence, had tried to rescue him, only to be captured himself. After some additional time in the Guild’s cellar, they’d both been dumped into the lower compartment of a trade-wagon and driven out of the city—several days out, in what direction Arvid had no notion—in the untender care of journeymen enforcers who intended to pry every detail of information from them both before killing them. Now the journeymen tossed dice for first choice of his weapons, all the while loudly discussing what they intended to do with him. Certain tools were, they’d said, heating in the coals. He would be warm then, one jeered, throwing a hot coal that bounced off his back before he felt more than the sting. he lay only cold wind caressed him, and his belly cramped with hunger. He should have stayed north of the mountains once he was sure the necklace had already gone south. 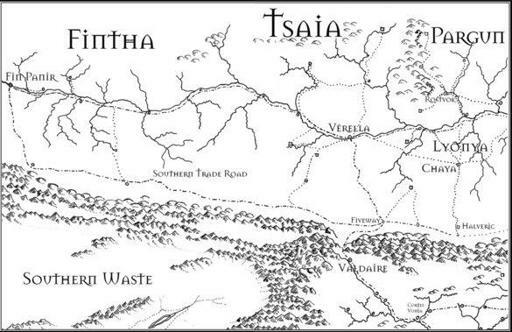 He should have realized that his long absence from Vérella had given his second in command—Harsin, with his false smiles—a chance to seize power and proclaim him a traitor to the Guild because he had gone to do the Marshal-General’s bidding. He would have Harsin’s liver roasted on skewers if he got out of this alive, which—at the moment—seemed unlikely. What he needed was a rescue, but who in all Aarenis knew or cared about him? His gnome servant, maybe, but Dattur was trussed up as tightly as Arvid himself, and gagged as well. been a thief, but that was years ago, and anyway—all right, yes, the Marshal-General had saved him from those Girdish who were sure he’d stolen the necklace, but he hadn’t. And it was being seen as too friendly with the Fellowship that had turned the others against him. Would you have let her die? Arvid felt a gentle hand on his bruised head and then the sting of something cold on his bare shoulder—one and then another. And another. door of the hut—hardly more than a shed—creak open and then slam shut. Cold rain, the winter rain of Aarenis, pelted down on him, harder every moment. He shivered; his teeth chattered. Cold water ran into his face, melting away the blood that had glued his eyelids shut in the last beating. Under his nose he saw a stretch of dark earth speckled with pebbles glistening in the rain. Wet leather stretched. Arvid remembered that even as his hands twisted … but it had to be really wet, and he was chilling faster than the leather softened. He struggled on. Hair by hair, the leather thongs stretched. Enough? It had to be enough. , he thought into the dark sky. It did not seem the right moment to tell that sort of voice that he was not in service to that sort of voice. It was the right moment to escape, if he could. He worked one stiff hand loose, then the other. He could scarcely move his fingers and fumbled at the thongs tying his knees, his ankles. All the time the rain pelted down, hard cold drops—some of them ice pellets now, it felt like. He needed a knife, a sharp— His hand knocked against something, a loose rock—and he saw the glassy scalloped edge of broken flint as if outlined by the sun.